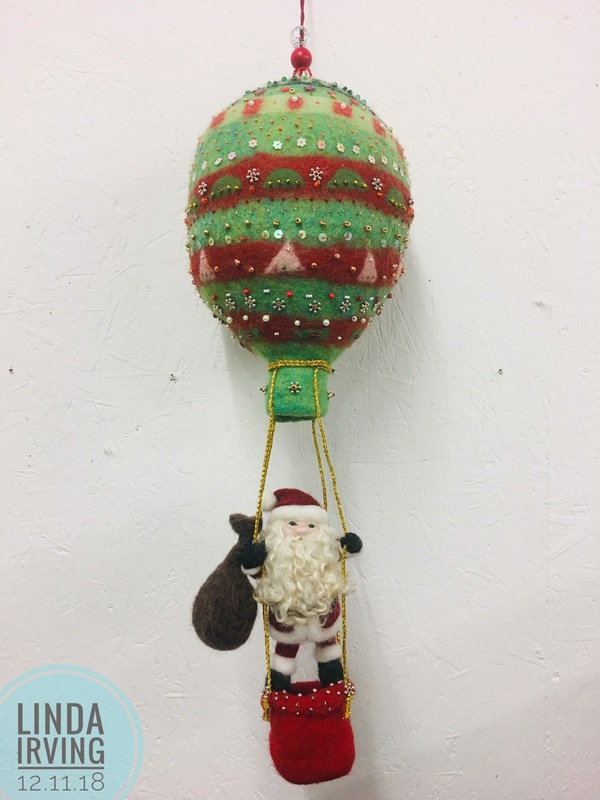 This ‘Flying Santa’ is a festive sculpture created over the course of 24 hours (in stages!) labour! 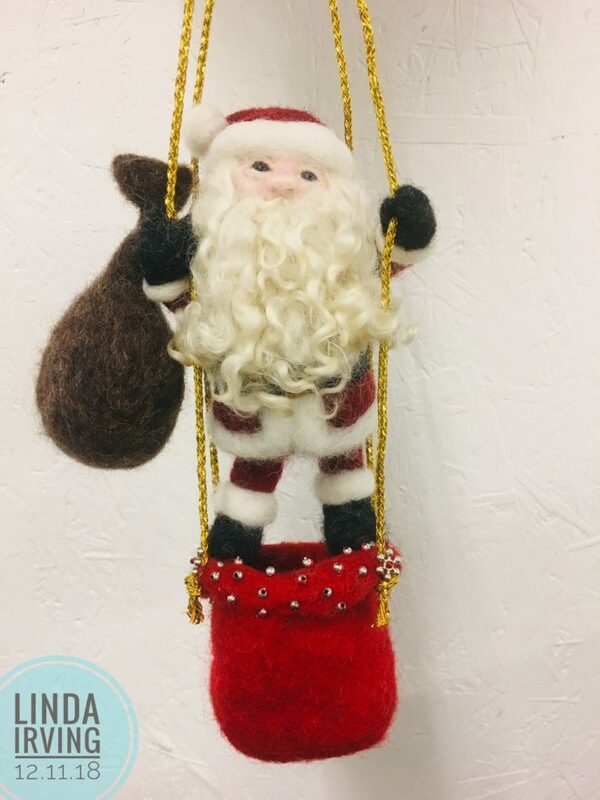 The lovely Jeannette Hadley made Santa himself to my spec to balance on the basket of the balloon! 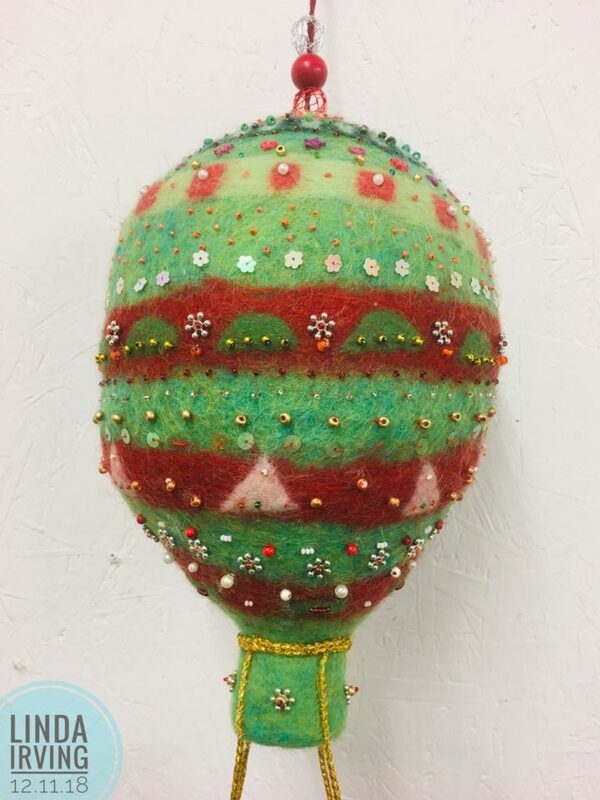 The balloon itself is made of berschaffe fibre, a courser more sculptural-use fibre holding its shape in 3D better! It’s fully 3D and stuffed with capok (equivalent) to hold shape. I wouldn’t like to guess how many beads I sewed on by hand all around the balloon and on the basket. All of it hand sewn in its construction, no glue, no shortcuts! I’ve loved making him! £195 plus UK pp. This is NOT a toy, it’s a Christmas festive centre piece!